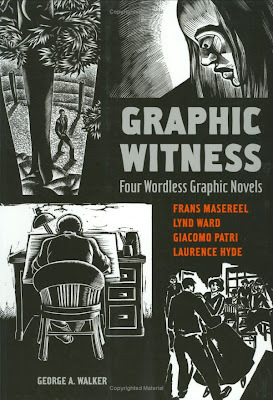 One of the most intriguing books I have recently read is Graphic Witness, a collection of four wordless graphic novels edited by George A. Walker. 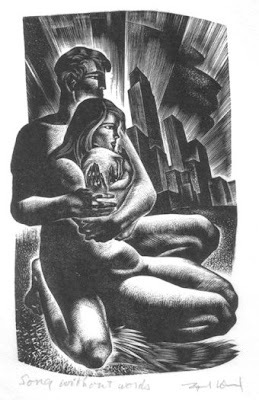 I bought it because I knew and love the work of Frans Masereel, one of the featured artists. I'll have to post about him later. 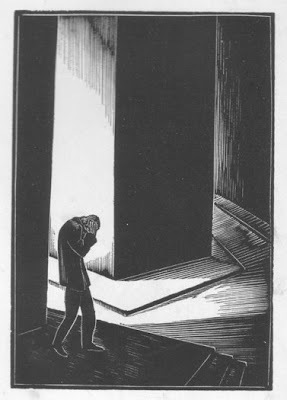 An artist that was new to me is Lynd Ward. 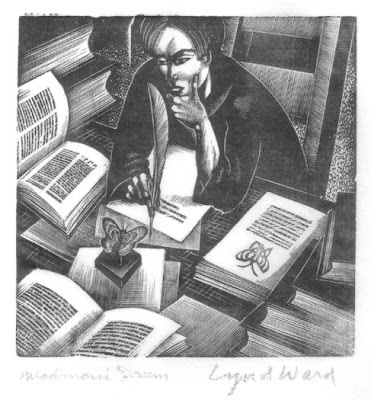 Ward produced a number of wordless graphic novels, made up of a series of striking woodcuts in a sort of Expressionistic/Gothic/Art Deco style. 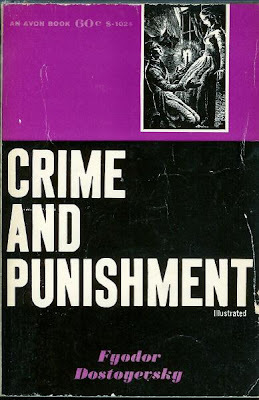 Three of these have been recently republished in attractive, easily affordable editions by Dover, while another, Vertigo, seems to be out of print. A fifth, Song Without Words, I could not find a cover for. 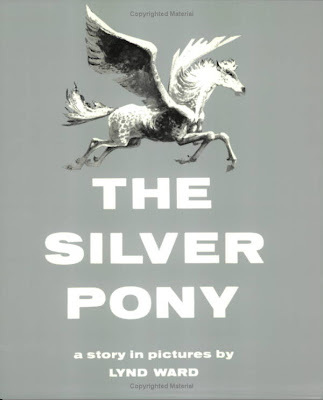 Ward is probably best known, at least in his native US, for The Silver Pony, a children's book he wrote and illustrated. 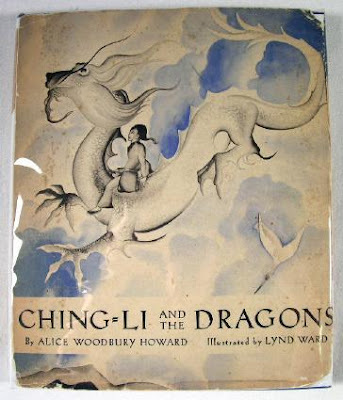 He also did the covers (and illustrations) for a number of other children's books. 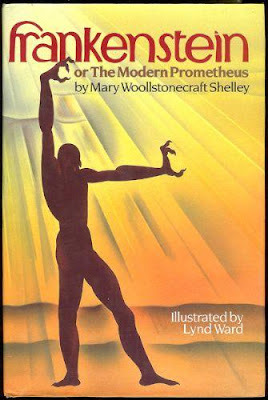 I found a couple of other books with his work on the covers. 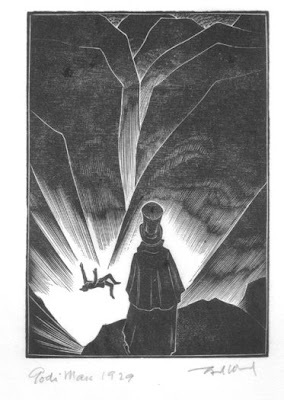 Here are some of the marvellous interior illustrations for Mary Shelley's Frankenstein. ..and from Song Without Words. 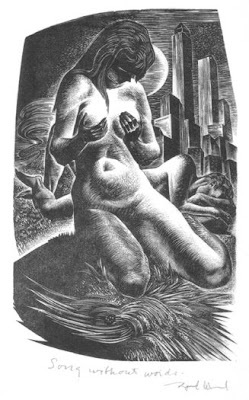 And here's an illustration for an edition of Beowulf that I can't trace. 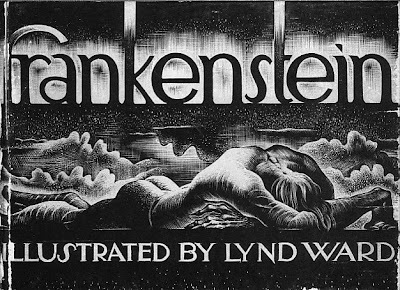 Much more Ward can be found here, here and here (the last of which leads you to all of the Frankenstein illustrations--beware, though, that it also belongs to a mildly mad chap determined to prove that Percy Shelley wrote Frankenstein, rather than it being the work of Mary Shelley). 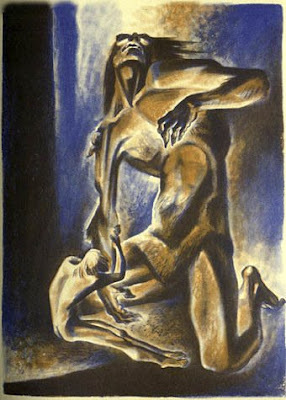 UPDATE: Will of A Journey Round My Skull has got his hands on a copy of the Beowulf (see comments), and has reproduced the beautiful artwork from it here. Go and look and marvel! 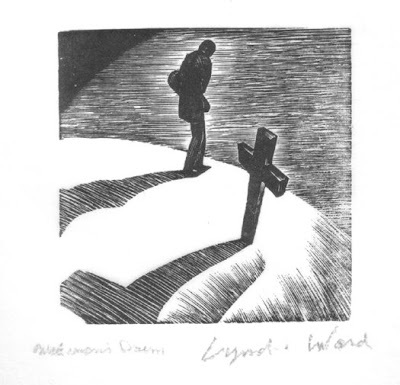 I've always loved Lynd Ward. Your post on him is wonderful. 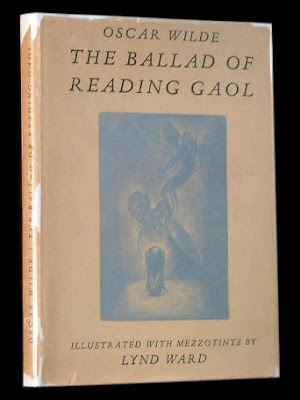 So pleased to see editions of his works coming back into print. 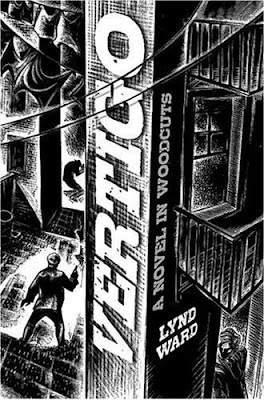 At the bookstore where I work we have "Storyteller Without Words: The Wood Engravings of Lynd Ward" which has a lot of biographical information as well as superb illustrations. I've just discovered your blog. 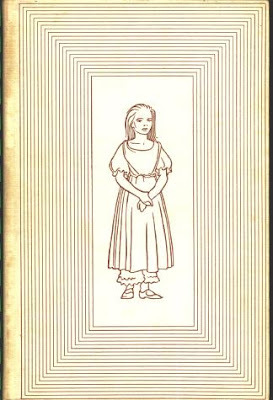 Book covers and illustrations are a subject after my own heart. Thanks! So glad you stumbled upon my blog, Mr Grove! 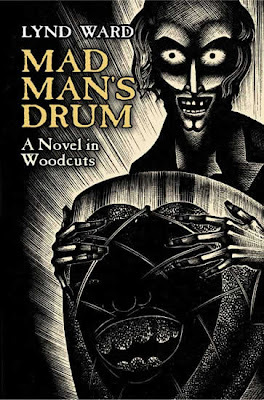 I'm going to have to get that book on Ward--his work is fascinating, and I'd love to see more of it. Excellent, thanks for the introduction to Ward. Can't wait for the Walser post you hinted at! Thank you. 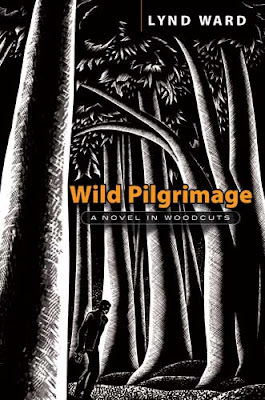 The Walser post is coming--it's just that I've got a few days off work, and I've currently left the folder of Walser cover images on my work PC, rather than emailing it home to myself. Soon! 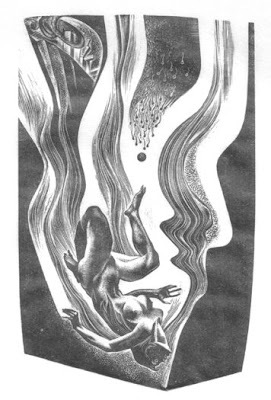 I stumbled upon Ward's Beowulf this weekend, and of course I had to post his incredible illustrations immediately. Thanks again for the intro. Now I need to pick up the rest of those Dover graphic novels. I'll link to your post in this one, Will: they're amazing pictures. 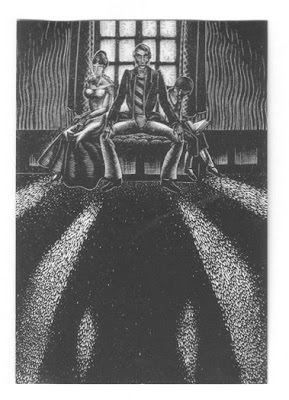 Related publication to the Graphic Witness collection is Wordless Books from Abrams, edited by Berona. 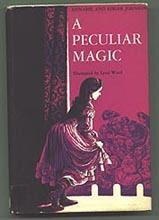 Covers a few more artists, though without complete book reproductions: more of a sampler, but nicely produced. Right, 'Wordless Books' is on the to-buy list! Thanks for bringing it to my attention. I love that Clowes cover--I had to upgrade to it, since it made my old edition look like crap. 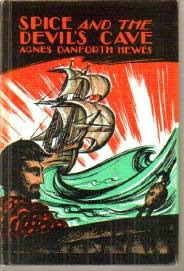 But I'd never seen that Beowulf cover, and I really like it. I wonder who it's by? Beowulf himself in that artwork reminds me a bit of the style that Frank Miller has been using ever since he lost his sanity, only more disciplined. 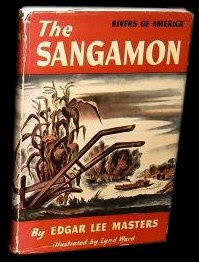 I think it's an amazingly good cover for a $5 paperback. 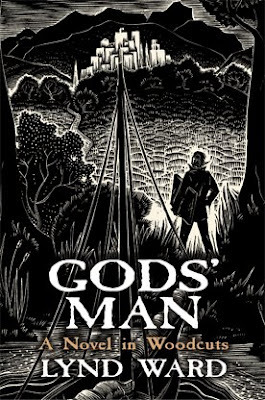 I've been collecting woodcut novels since the 1980s, starting with God's Man, and moving on thru Masereel and Otto Nuckel. 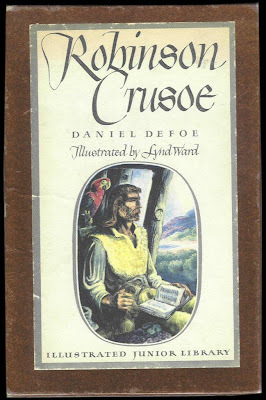 It's a wide, unknown world which predates the contemporary graphic novel...23 Masereels, 7 Wards, 1 Nuckel, and more. Thanks, Vintagent: I shall have to seek out the Berona book.